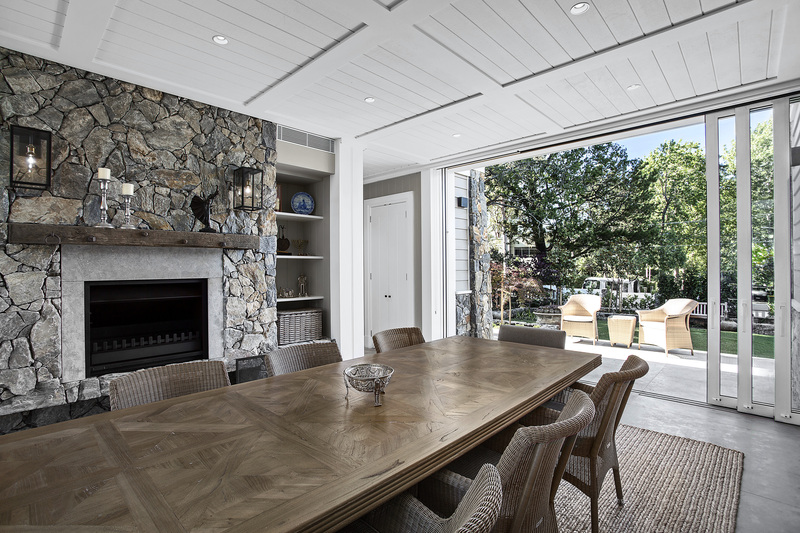 Reynaers at Home brings you seven patio door ideas to help you with designing your latest new build or renovation project. 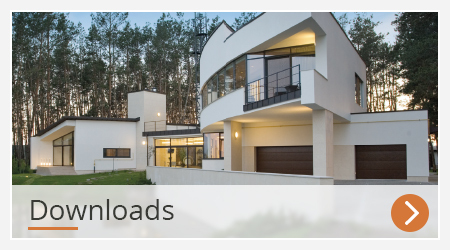 Aluminium is one of the most durable and versatile materials on the market which makes it suitable for even the most complex architectural concepts. Read on to get inspired with these aluminium patio door ideas that we have chosen specifically to suit a wide range of styles. Aluminium Bifold doors are becoming a very popular choice with their flexible opening options that suit most styles of homes. 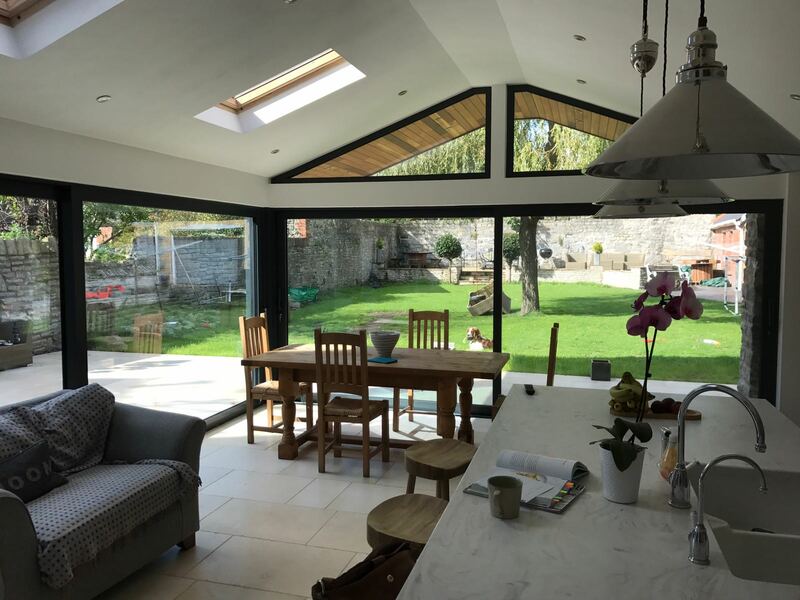 Rather than simply installing bifold doors with just a few door leaves, why not fully open up your home to the outdoors by installing an entire wall of bifold doors. 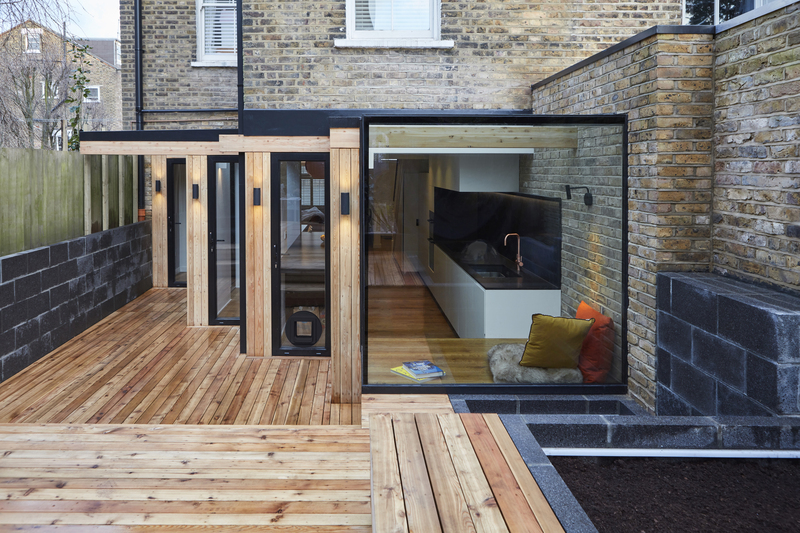 Bifold doors of up to 8 leaves can then be stacked flush against the wall or even split in half, so that the door leaves fold to either side to completely open up the room. 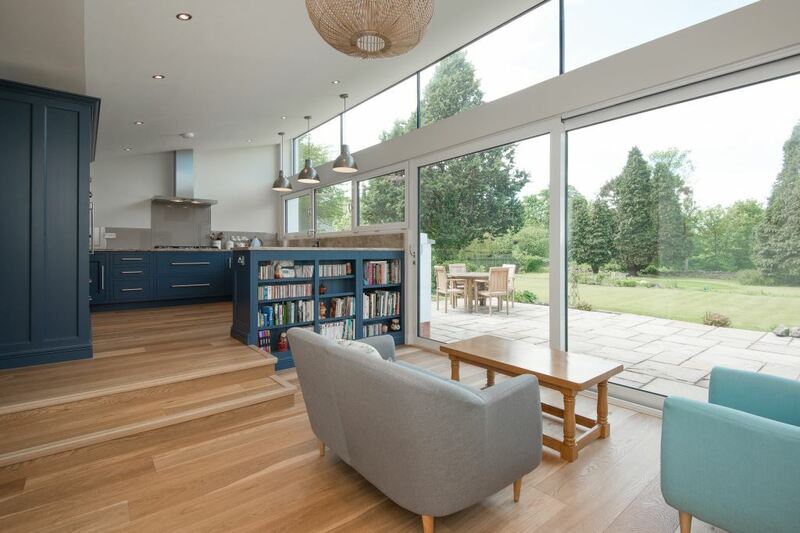 Installing a wall of bifold doors as opposed to one traffic door can rejuvenate a room by maximising the space without compromising on security, design or thermal efficiency. Installing doors that slide open at a corner is a contemporary twist that can become a focal point of your home. They are the perfect solution for improving an awkward or unused corner space, making it appear as though the ceiling above is floating leading to a stunning design statement. 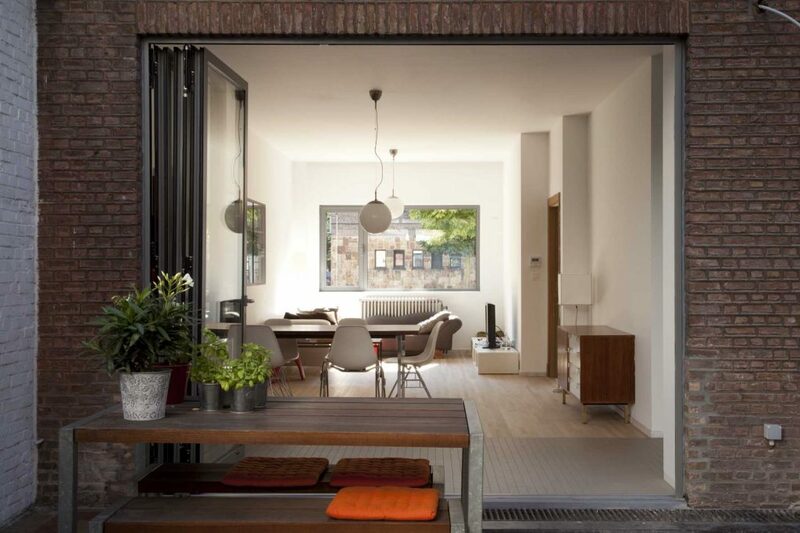 Corner doors will seamlessly blur the divide between the indoors and the outdoors, giving the illusion of more space, particularly when paired with matching floor tiles inside and out. This type of aluminium patio door most suits contemporary and modern homes with a minimalist or industrial style. Hinged patio doors such as French doors are perfectly suited for property conversions and traditional new build homes. Try slim frame aluminium doors to give your doors a sleek and sophisticated feel without losing the traditional style. They are also great for entryways in smaller rooms due to their generally smaller size and straightforward opening options. Sliding patio doors are a popular choice for many homes as they save the most space and offer completely unobstructed views into the garden. Sliding doors offer simplicity and sleek design, and as they make the most of natural light, they are an ideal solution for darker rooms. Why not choose a set of slim frame aluminium sliding doors for your minimalist or modern home to keep things simple and elegant? Or if your home has interesting interior features, then a set of sliding patio doors can illuminate them with natural light. 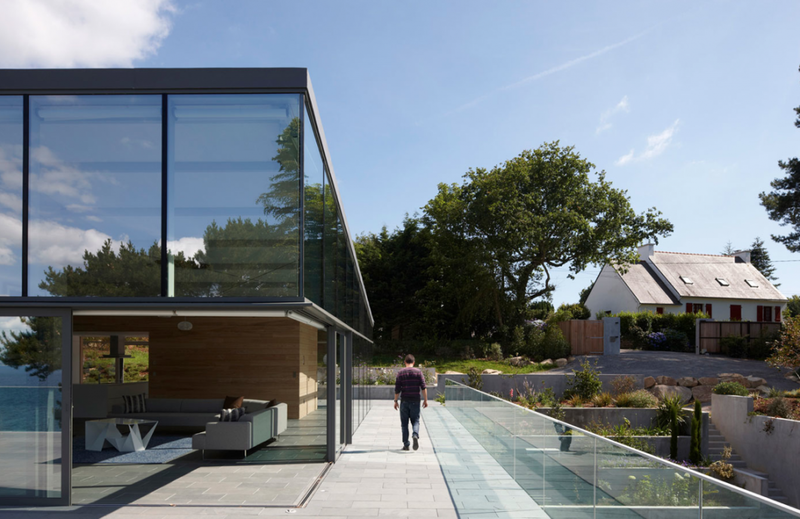 If you’re looking to make the ultimate design statement then floor-to-ceiling wall-to-wall glass panes that open into the garden are sure to be a talking point. Aluminium is one of the most durable materials on the market, meaning doors can now reach up to 3m tall while still remaining easy to open, secure and efficient. Aluminium patio doors can work with any architectural concept you might have, so why not combine different door styles to suit your style and defy convention. 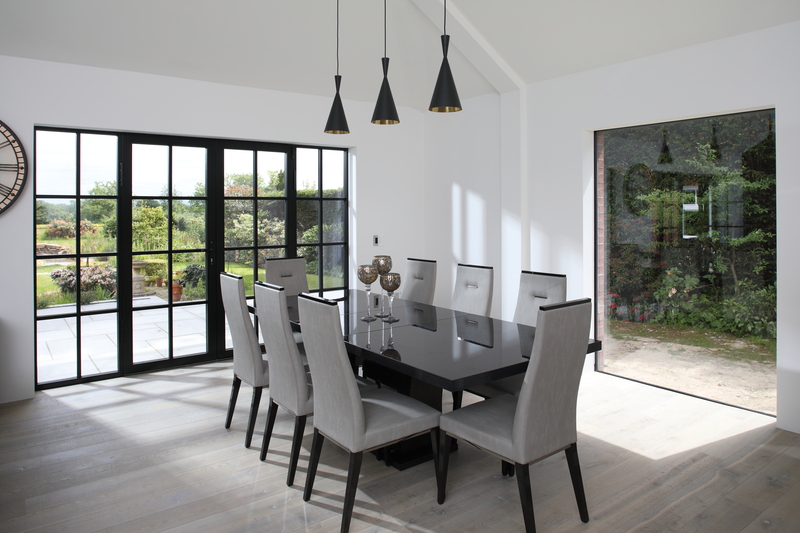 There are many benefits of installing varying types of patio doors, from making the most out of an awkwardly shaped room, to maximising natural light in a dark room. Don’t just limit yourself to installing a set of doors to brighten up a room, why not combine patio doors with roof windows to completely transform the space. Or perhaps replace one of your brick walls with a glazed wall that can be seamlessly connected to your patio doors for complete transparency and panoramic views. 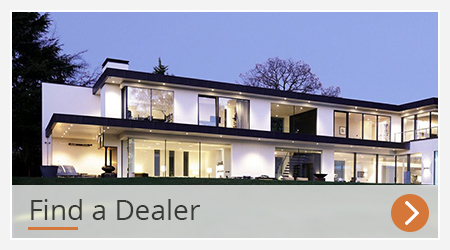 If you would like any more information, please view the Reynaers at Home product page for further inspiration.